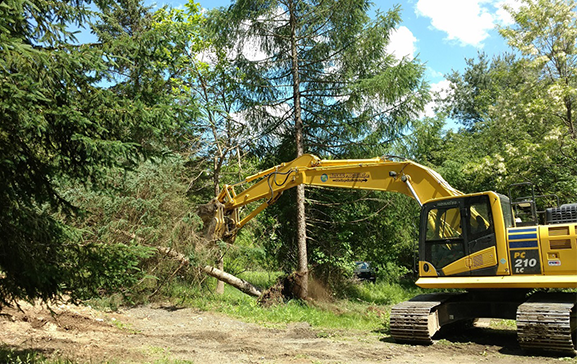 Material Processors provides complete land-clearing services, with stump removal, while retaining the surrounding soil. This eliminates the need to truck in additional material to fill the holes left by the vacated stumps. This environmentally-sound process saves time and money, while reducing waste.